On-site calibrations of gas analysers are now not only possible, but easy to perform, thanks to Michell Instruments’ new Portable Calibration Rig (PCR). 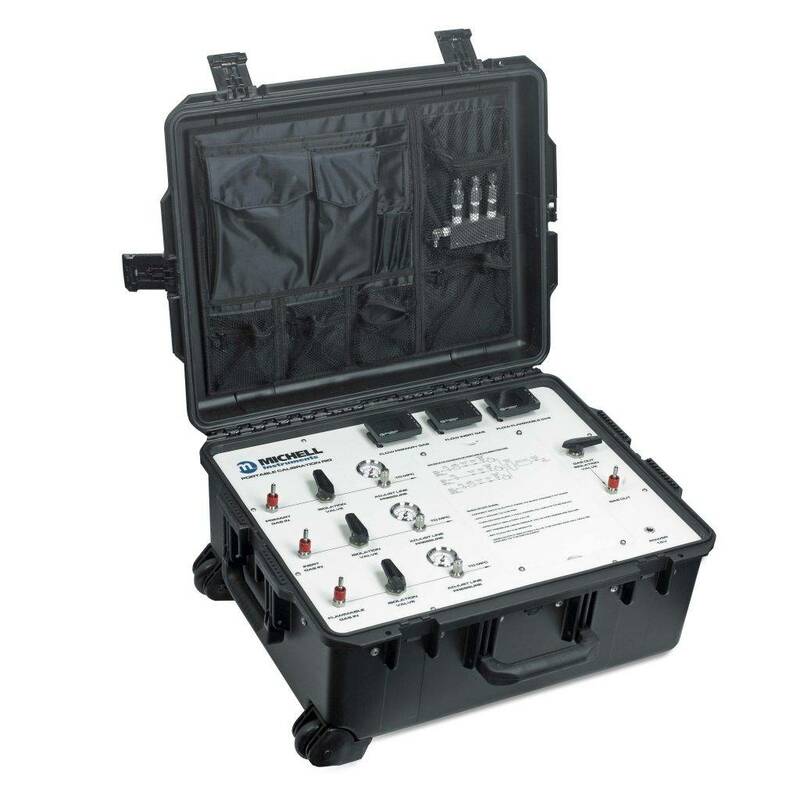 The PCR is a mobile gas blender utilising premium mass flow controllers housed in a tough transport case that can be used for a huge variety of applications and analysers. It can mix two or three gases from: Air, Oxygen, Nitrogen, Carbon Dioxide, Methane and Hydrogen and is easily controllable so that the perfect blend can be achieved for the application. Provided the customer has zero or spans gas cylinders available – it is possible to ‘factory’ calibrate an analyser such as Michell’s XTP601. For example, an analyser range 0-10% O2 in N2 could be calibrated with synthetic air and N2. A field calibration of an analyser can be carried out in under 1 hour including set up time. For a complete factory calibration, with multiple calibration points (to change the range/background/both), 4 hours would be all that is required. These time-scales represent a minimal downtime compared to the alternative of sending the instrument away for calibration. Although the unit is designed for field calibrations, it can also be used in a laboratory to mimic changing process gases for research work. This new portable gas blender is the latest calibration offering from Michell, who are world leaders in the field of moisture calibration. Their head office and main manufacturing site in Ely, UK, houses a UKAS accredited calibration lab for dew-point and humidity calibrations. The company also provide a wide range of moisture calibration equipment, from large-scale systems for calibration laboratories to small, transportable units designed to enable cost-effective moisture calibrations of relative humidity probes.